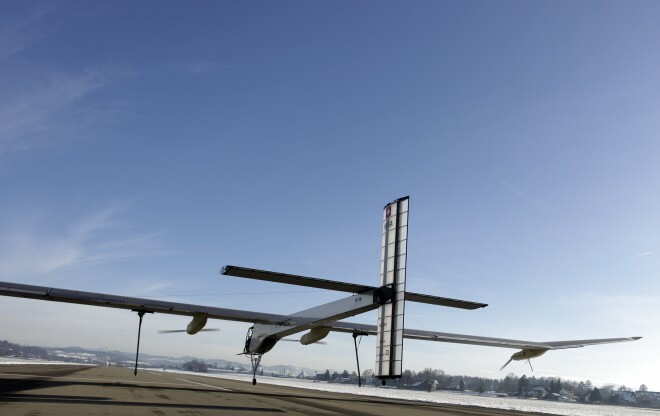 The solar impulse is a completely solar powered aeroplane. The flight was a short one – 350m at an elevation of 1m, but it proved the concept! Solar Impulse Completes First Flight | Autopia | Wired.com.